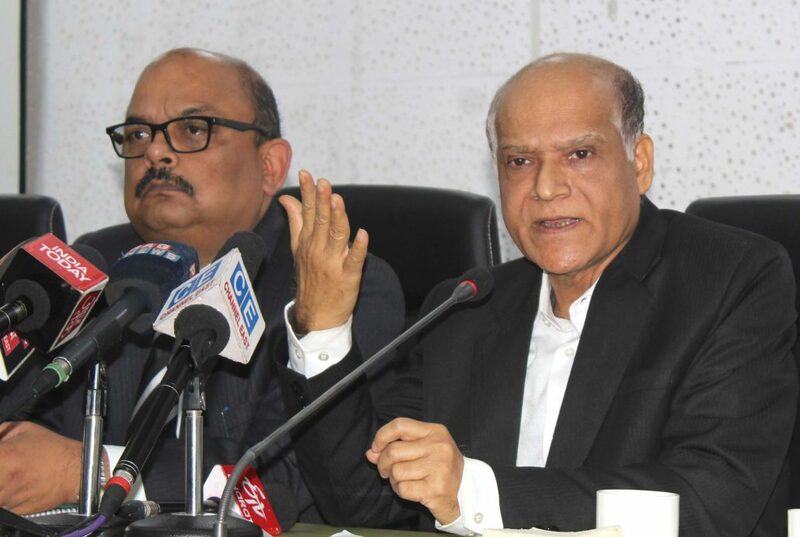 Assam Chief Secretary (CS) Alok Kumar while asserting that the civil and police administrations are ready to face any situation said on Saturday that law and order situation in the state was under control as of now. Kumar was referring to the current restive situation in Assam over the Citizenship (Amendment) Bill 2016. Kumar addressed a joint press conference with the Director General of Assam Police, Kuladhar Saikia and appealed to the people to maintain restraint. Director General of Police Kuladhar Saikia who also addressed the press conference, said that a total of eight cases had so far been registered in Assam over the stray incidents of violence that had taken place in different parts of Assam over the ongoing agitation against the Citizenship (Amendment) Bill 2016. “The law and order situation of Assam is under control as of now but it is challenging. The state is passing through a phase which is challenging. The government feels that the people have the right to protest. However, certain deviations are observed. Taking off cloths and protesting by that means may not be the right way,” said Assam Chief Secretary Alok Kumar while appealing through the media to the people of the state to maintain restraint. “The ongoing discourse should not degenerate into violence on the streets which will make the situation difficult to control. There is peace now and it is necessary to create an atmosphere for people particularly when the general elections are only two to three months away,” Said Kumar. Detailing on the police cases, Saikia said that while three cases have been registered in Tinsukia, two cases have been registered in Behali in Biswanath district. Another three cases have been registered in Nalbari district, he added. Asked about the recent statement of Himanta Biswa Sarma that the movement against Citizenship Bill is controlled by ULFA, the DGP however, said that as of now police does not have specific inputs in this regard but added that police are looking into it. “We have registered cases in Tinsukia, Nalbari and Behali and arrested several persons. Now only after a detailed interrogation only we can tell about involvement of the underground outfits in the movement,” said Saikia. The DGP however, said that the police are ready for handling any situation and that there was no need of apprehension from anyone over the ongoing situations.